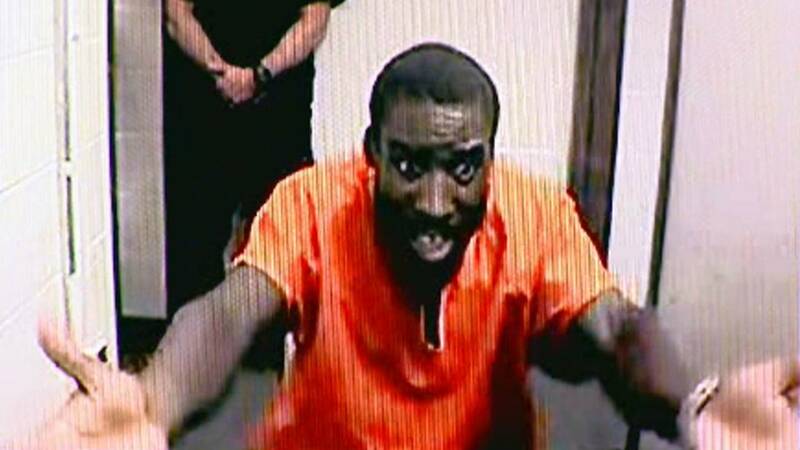 PONTIAC, Mich. - Nathaniel Abraham argued with a Pontiac judge Friday throughout his arraignment for allegedly punching three deputies who were trying to arrest him for missing a court appearance in an indecent exposure case. Abraham, 32, was convicted of murder as an 11-year-old boy in the 1997 fatal shooting of 18-year-old Ronnie Greene in Pontiac. He spent eight years in prison before being released. A short time later, he was caught selling drugs and sentenced to more prison time. While locked up in 2010, Abraham was convicted for assaulting prison guards. Abraham was released from prison on June 28, 2017. He was discharged from parole on June 28 of this year. READ: Is there hope for Nathaniel Abraham to turn his life around? 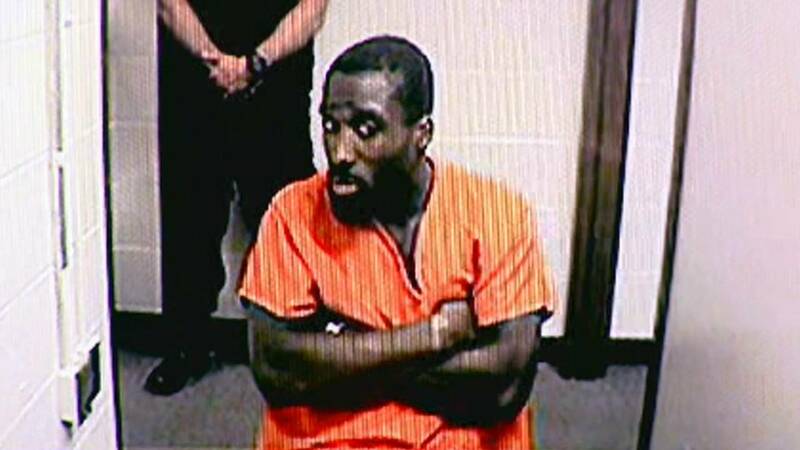 Abraham didn't appear in court Wednesday, prompting detectives to search for him. 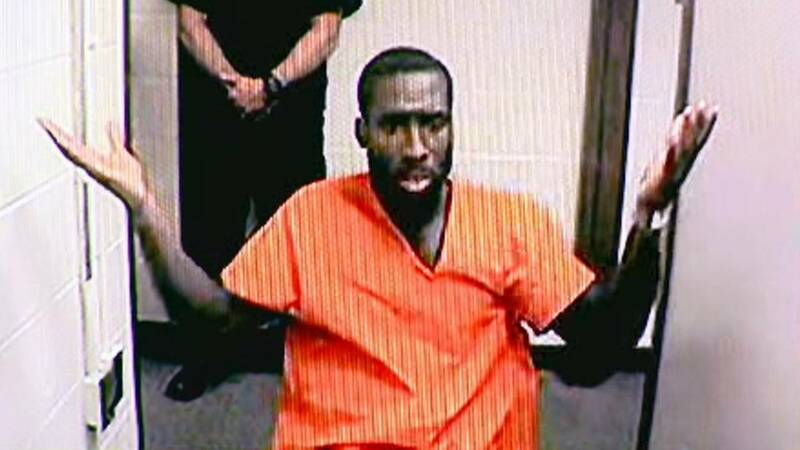 When they found him on St. Clair Street in Pontiac, he allegedly resisted arrest, tried to escape on foot and hit three deputies with a closed fist, police said. He was taken into custody after deputies used a Taser on him. 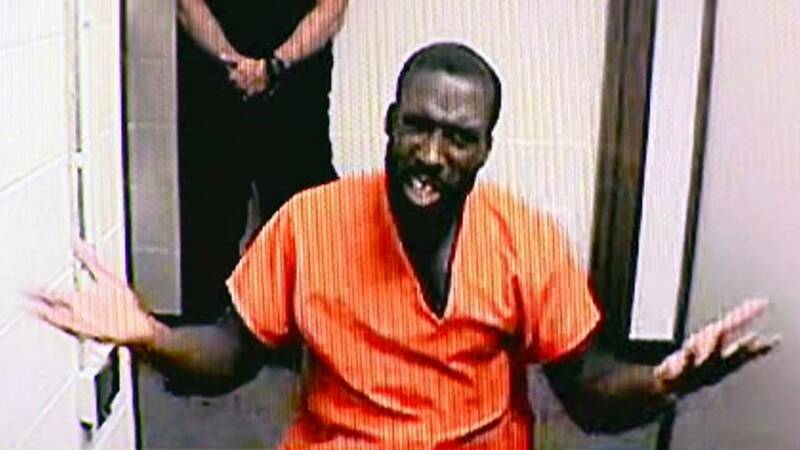 Abraham was video arraigned Friday morning in Pontiac, and he had several questions for the judge throughout the proceedings. District Judge Michael C. Martinez told Abraham he is charged with assaulting and resisting a police officer causing injury, a four-year felony, and two counts of assaulting and resisting a police officer, two-year felonies. "Since these are felony charges, I'm going to enter a not guilty (plea), set up for a probable cause conference date of (Aug. 21) at 1:30 p.m.," Martinez said. "That will be in front of Judge Gross. Are you going to be in need of a court-appointed attorney, sir?" "That depends if I'm getting a bond," Abraham said. "What I don't understand, your honor, is -- if I'm getting a bond I'm going to get my own (attorney). I have a question, your honor." "They released me Monday, right?" Abraham said. "They released me Monday. I bonded out. They told me that my hearing was on the 20th, right? Then, my mother -- not the court -- my mother told me I had court today, Wednesday, that I was never notified about. When your officers see me on the road --"
"OK, OK, stop, stop, stop, stop, stop Mr. Abraham," Martinez said. "Don't say anything about the case. Anything you say can be used against you, OK? Don't say anything about what happened, in other words. This is being recorded, so it can be used against you, so don't say anything about that part." Martinez told Abraham he could accept the court-appointed attorney and send that attorney home if he hired his own. "I don't even understand why I have these charges, man," Abraham said. "I was Tased. I understand it was on the news." "Hold on," Martinez said. "Remember what I said. Don't say anything about the case. It's not going to help your situation at this point. It can only hurt you." "Not really, because I was told I was under arrest, and now you've got here saying I'm under arrest for assault and battery, but I was told I was arrested for indecent exposure," Abraham said. "That's a different case," Martinez said. "I haven't gotten to that one yet. We're just sticking to the felony for now. I'm going to get to the next case in a second, but we've got to finish this one." "Can you please go back and remind me what I was just charged with?" Abraham asked. Martinez read the charges again. "So three counts, one case," Abraham said. "How is that even possible?" Abraham asked. "That happens all the time," Martinez said. "You're stacking -- no, you can't do that," Abraham said. "That's Double Jeopardy, all-in. You can't do that. So, alright, go ahead." Martinez started to read the charges from the indecent exposure case. "That one says on or about Aug. 6, 2018, that you knowingly made an open or indecent exposure of your person," Martinez said. "This is a misdemeanor punishable --"
"According to who?" Abraham asked. "According to the complainant, the person who said that you did it," Martinez said. "Who?" Abraham asked. "The officer or who?" "No, a civilian witness," Martinez said. "That could be him," Abraham said, gesturing to the court officer standing behind him. "That could be anybody. That could be you." "That's why you go to court to see who it is," Martinez said. "On that one, it's a one-year misdemeanor. I'm going to enter a not-guilty (plea). Set that one for a pre-trial. You're going to need a court-appointed on that one, so fill out the petition." "I already have a lawyer," Abraham said. "They can hear me, so I don't even want to speak," Abraham said. "Alright, Mr. Abraham, is there anything you'd like to say before I set bond?" Abraham said. "Am I being sentenced, or what?" Abraham asked. "Because I'm trying to figure out how your officers came to my mother's house, right?" "OK, stop, stop, stop, stop, stop, stop," Martinez said. "They're not my officers. They're the police department." "You're all the same," Abraham said. "What I'm saying, your honor, is I posted bail, right? I posted bail. There was no notice at all before -- I signed out. I just walked out of the Oakland County Jail, your honor. They let me out and they sent the officers to my --"
"That very well might be," Martinez said. "That's something you have to bring up with your lawyer when you talk to him. I can't speak to that because I don't know what happened. You have to talk to your lawyer when you get the chance. You understand what I'm saying?" "No I don't, but, you know," Abraham said. "On the felony charges, it's $25,000 cash/surety," Martinez said. "If you are released, pre-trial services, no drugs or alcohol, random screens of PBTs, no contact with this lady on the indecent exposure and no weapons. ... Your next court date on the felony charges is the 21st at 1:30 for a probable cause conference that will be in front of Judge Gross. On the other case, the indecent exposure, it's $5,000 cash/surety or 10 percent. Your next court date for that will be in front of Judge Thomas, Aug. 28 at 9 a.m. Any questions?" "Yeah, so will I get 10 percent on the $25,000?" Abraham asked. No sir," Martinez said. "You do not get a 10 percent on the $25,000. You do get a 10 percent on the $5,000." "OK, so I have to give you $25,000 to get out of jail?" Abraham asked. "And the extra $500 if you want to get out on both, yes," Martinez said. "But you just said $5,000 on the -- you're on record saying $5,000," Abraham said. "$5,000 cash/surety or 10 percent," Martinez said. "OK, you're all set." "OK, I'm all set," Abraham said. You can watch the full arraignment in the video below.